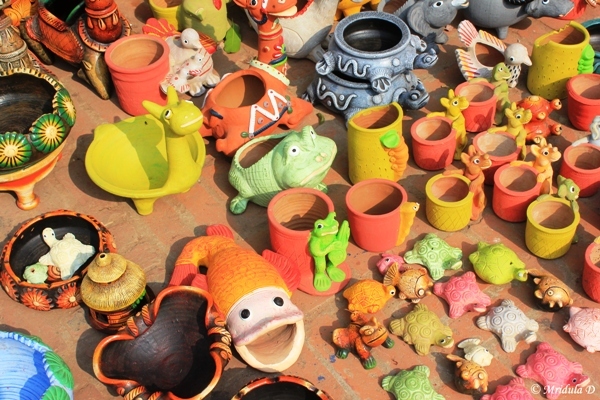 Yesterday I took two of my British colleagues to Dilli Haat. My take was that they could shop around and see some colors at one place. Also it was a bright sunny day, when it was good to be out there in the sun. I shudder to think if I took them out and it turned out to be gray like today! This was one time when I found my colleagues were taking more pictures than me. I am surprised how they did that! It is very difficult to take more photos than me. While walking around we agreed that it was good to click pictures of the things we liked rather than buying everything. We did some shopping and we did sit down for a cup of tea from the Assam shop and some sabudana vada from the Maharashtra stall. For the life of me I could not figure out what is sabudana called in English. 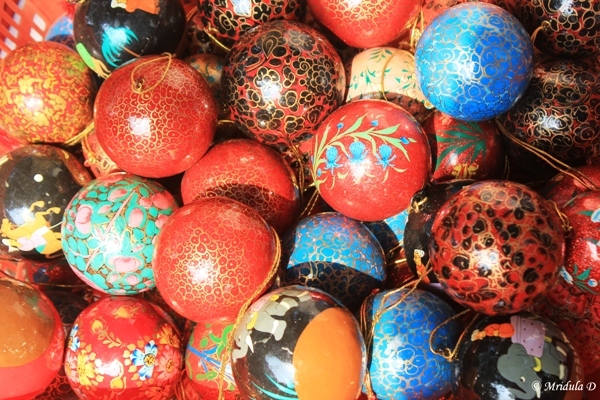 It is only after a Google search today I realize it is called Pearl Sago. 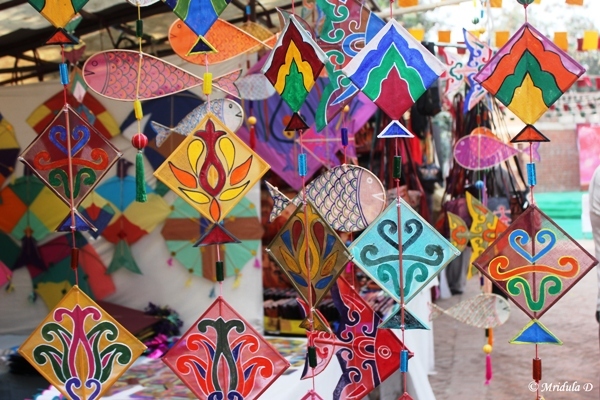 And even though I could not attend the Kite Festival I saw a lot of beautiful kites in a shop at Dilli Haat. 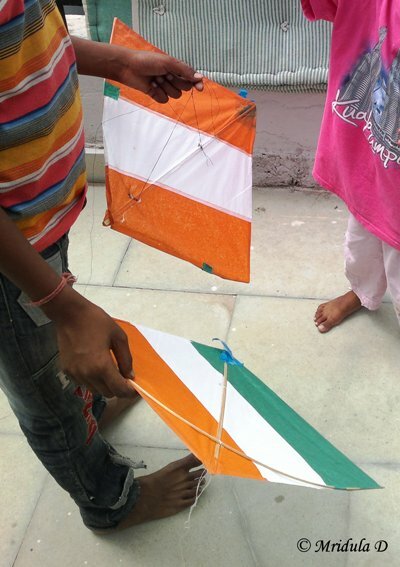 When we asked what were the small kites were for, the shop keeper said they were used as decorations rather than for flying. And even though I hardly ever wear a necklace I always like to click them. This time I wanted to keep only a few in focus and blur the rest. I am happy I could execute that to some extent! 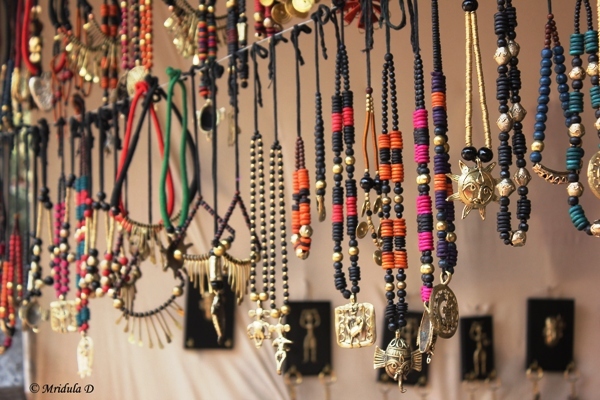 And the thing I like about Dilli Haat most is that the next time I go there would be new things on display and for me to click! PS. If you want to go the nearest metro station is INA. Just look out for the Dilli Haat signs for exit and it is right next door to the metro station. And try as they might, they could not fly it. Still led to a lot of giggles and happiness all around. A video from the colorful kite festival at Morecambe, Lancaster, UK.